Fire Emblem: Awakening 3DS bundle announced for U.S. Custom blue 3DS comes with pre-installed Fire Emblem. 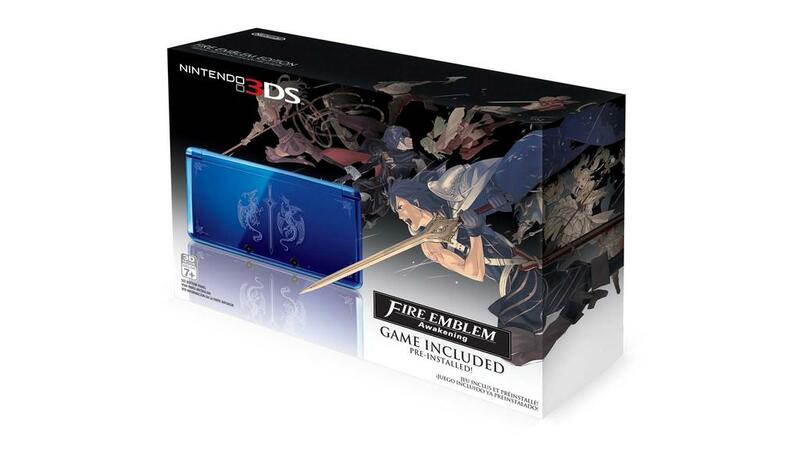 Nintendo has confirmed it will released a Fire Emblem: Awakening 3DS hardware bundle in the United States and Canada. The system will be the same blue design as the one released in Japan. The Fire Emblem: Awakening software will come pre-installed on a game card. Fire Emblem: Awakening will launch on February 4.